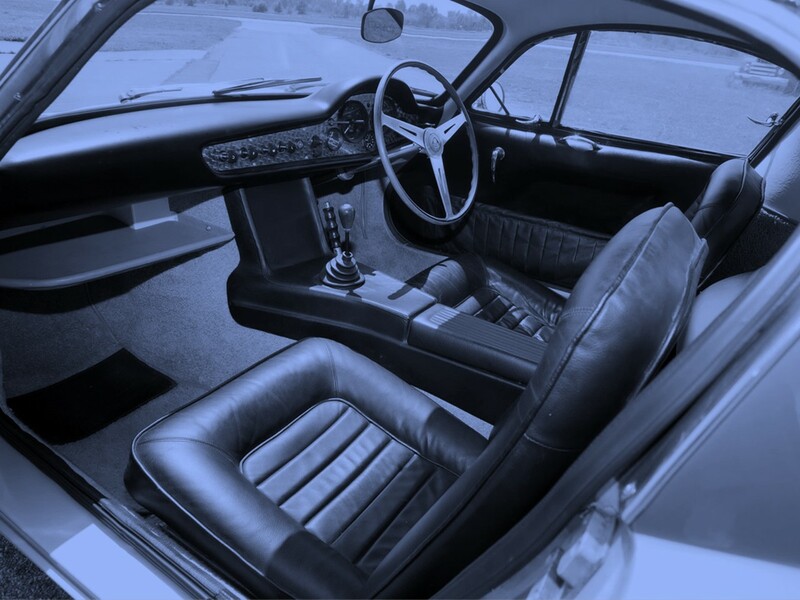 While the other auto manufacturers stretched their offerings to outrageous lengths, added a ton of bright work, and included fins large enough to qualify as aircraft – Colin Chapman did just the reverse…he thought in terms of classic simplicity. His forward thinking involved compact, lightweight aerodynamic architecture with component consolidation for the drivetrain. 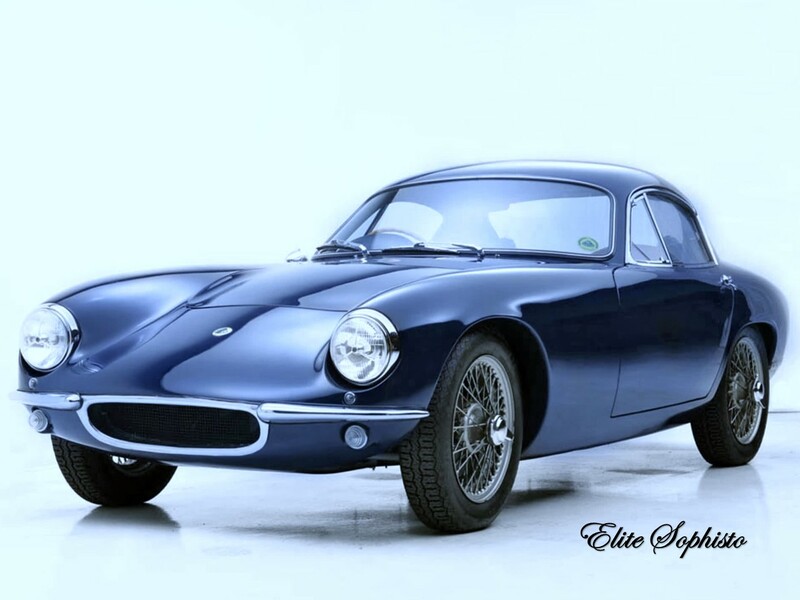 Elite’s lightweight design is augmented by fibreglass monocoque construction. This unique design does not use a separate metal chassis. (Do I detect an ugly skeptical note in your voice?) 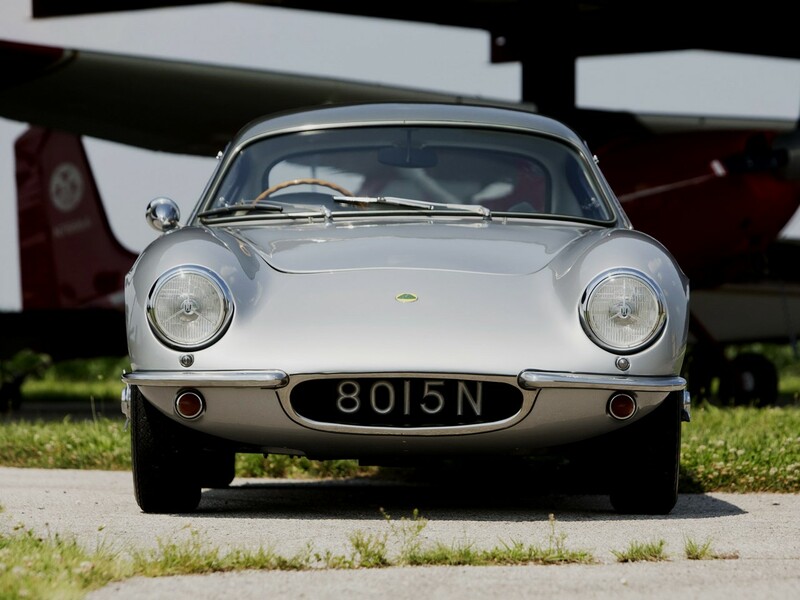 Underneath the exquisite styling small steel sections are bonded into the fibreglass structure at strategic points. This novel manner of construction boasts inherent rigidity. 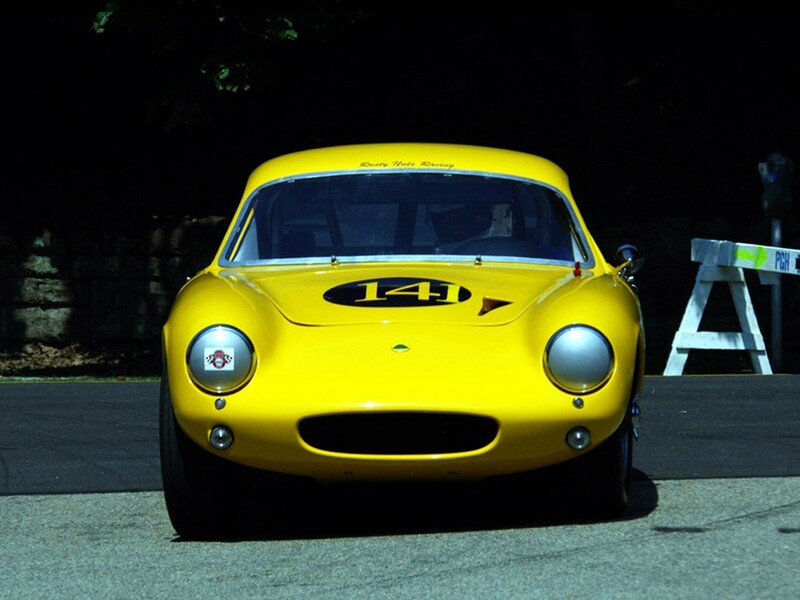 The stresses at the race tracks proved its lasting qualities. 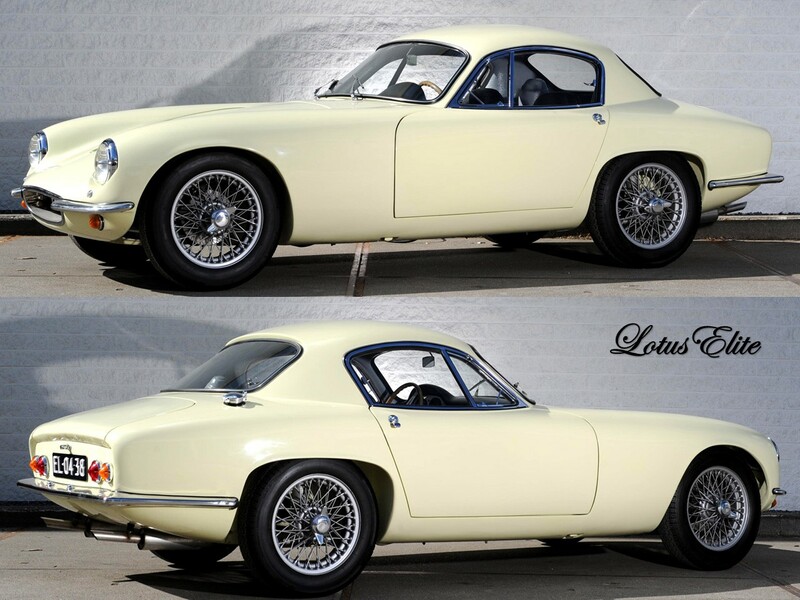 Only 1,048 Lotus Elites were built during its production from 1957–1963. More than half of these were imported to the USA. 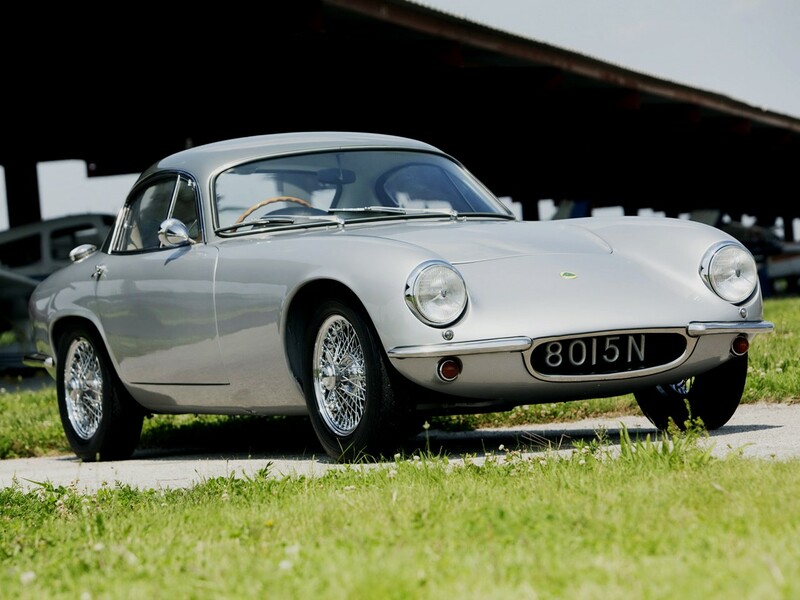 This rarity enhances the Elite’s desirability in the classic car market. The production glass reinforced polyester monocoque for these required 57 molds to make, which was vastly complex and obscenely expensive. 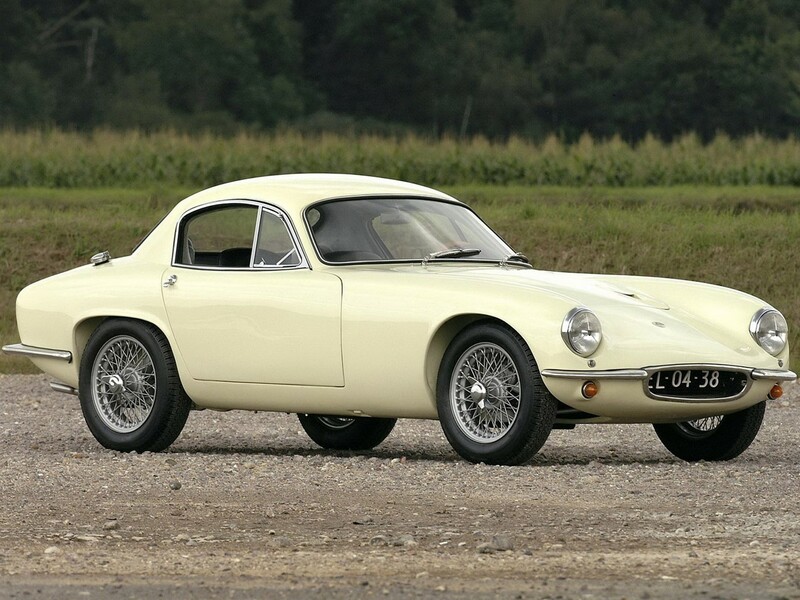 Maximar of Sussex, a boat building company, made the first 285 bodyshells. The Elite’s double-skinned structure was a challenge which took its toll on quality control. 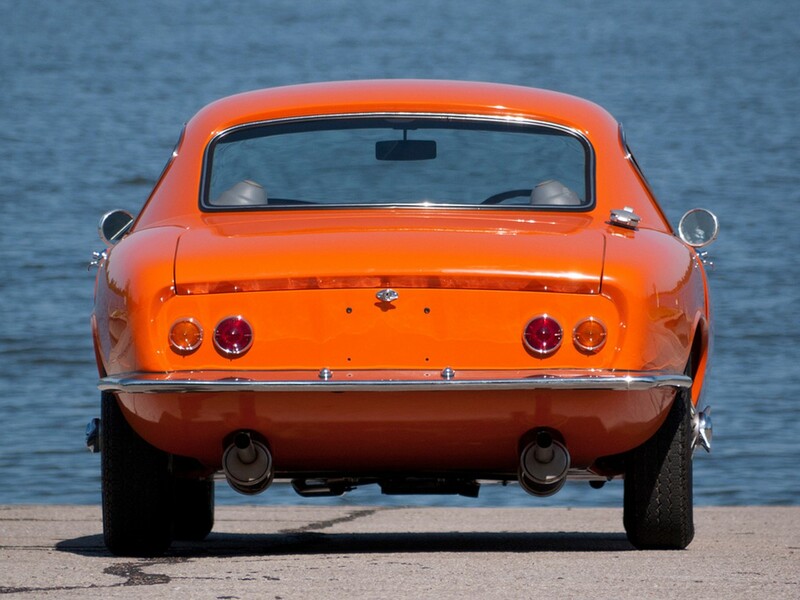 No two bodyshells were quite the same in precise measurement or materials. 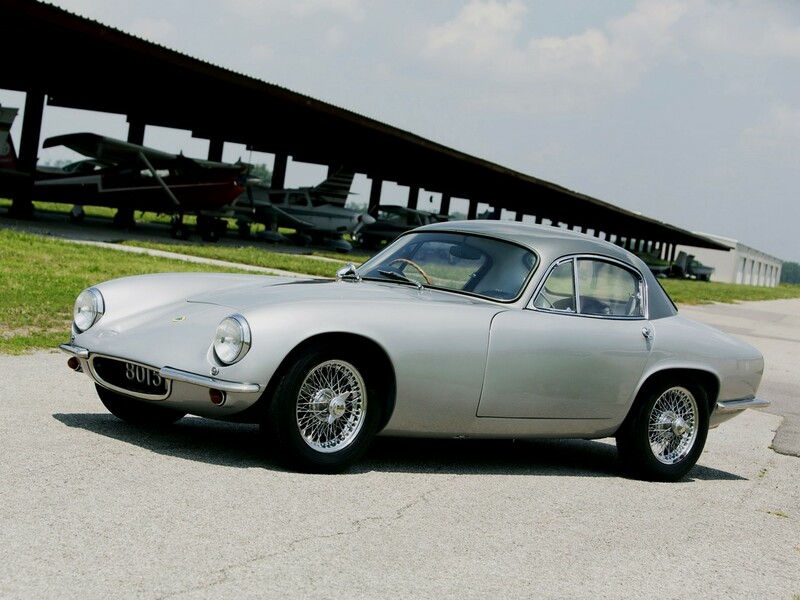 The Lotus Elite established its place among the classiest sports cars in automotive history. 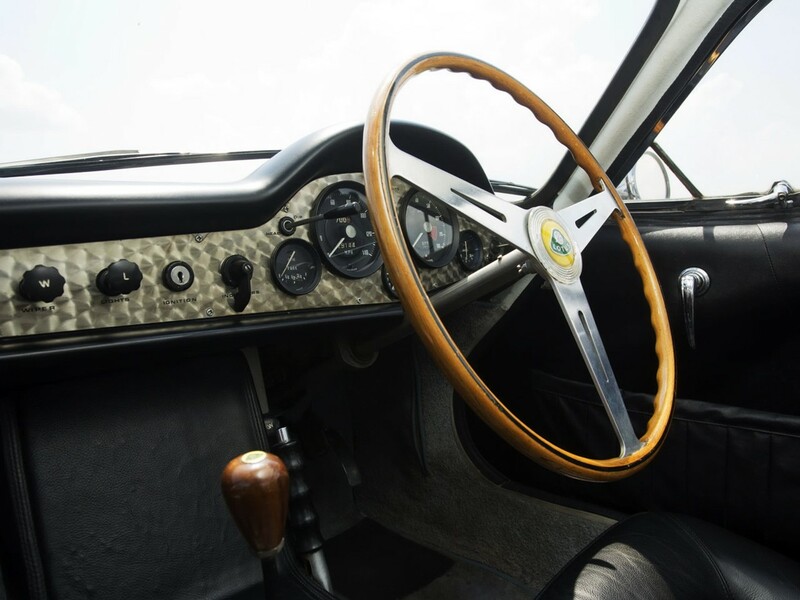 Its cabin designed by Peter Cambridge, reflects that of a stylish road rally tourer projecting classic simplicity. 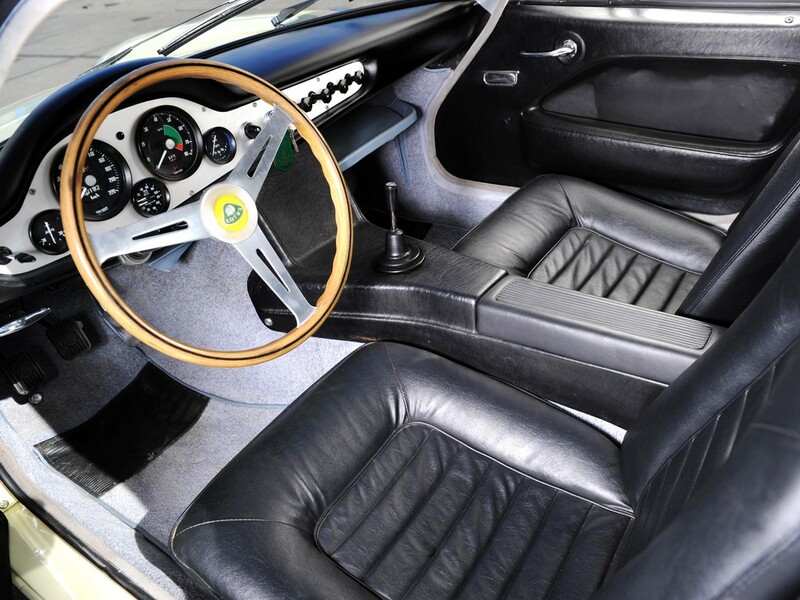 There’s nothing ostentatious per Colin Chapman’s theory of form and functionality. 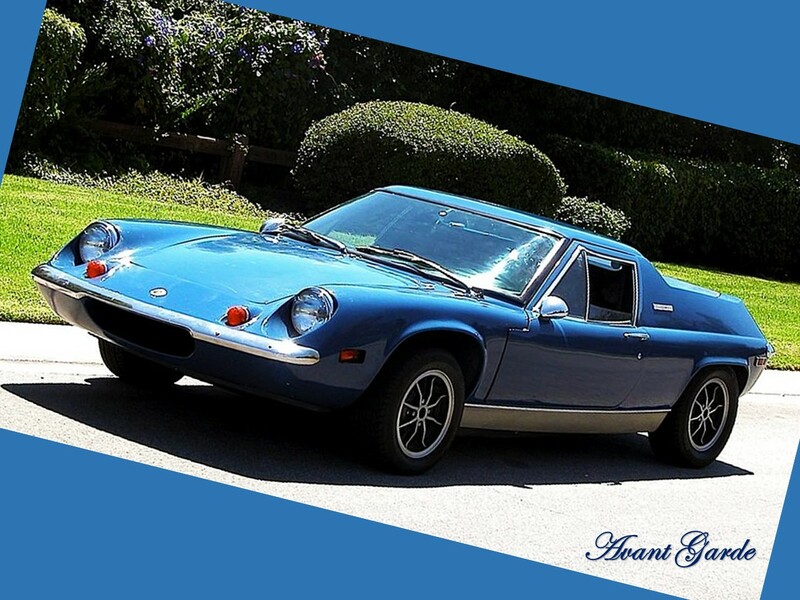 It features a full complement of instrumentation to include speedometer, tach, fuel gauge, water temperature, oil pressure, and battery charge. 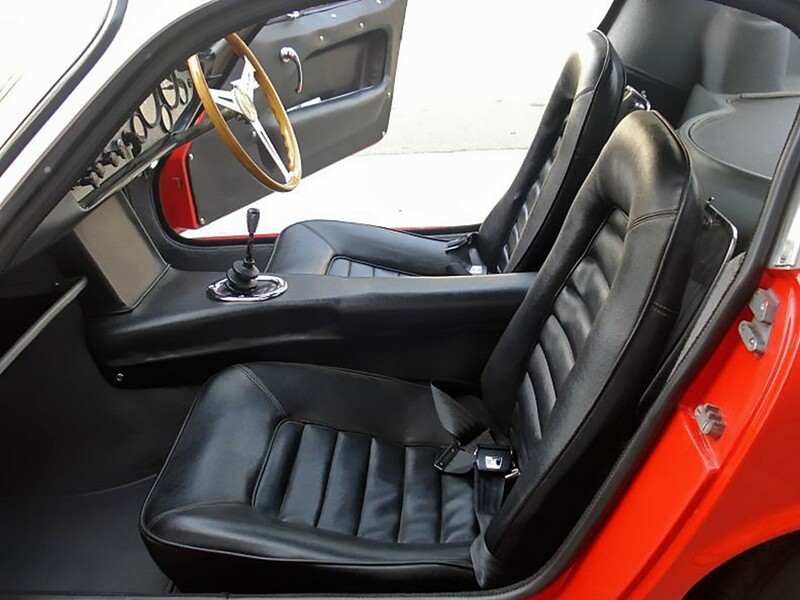 High-back Dunlop seats, a 16” wood grain steering wheel, and carpeting all compliment Elite’s sporting nature. 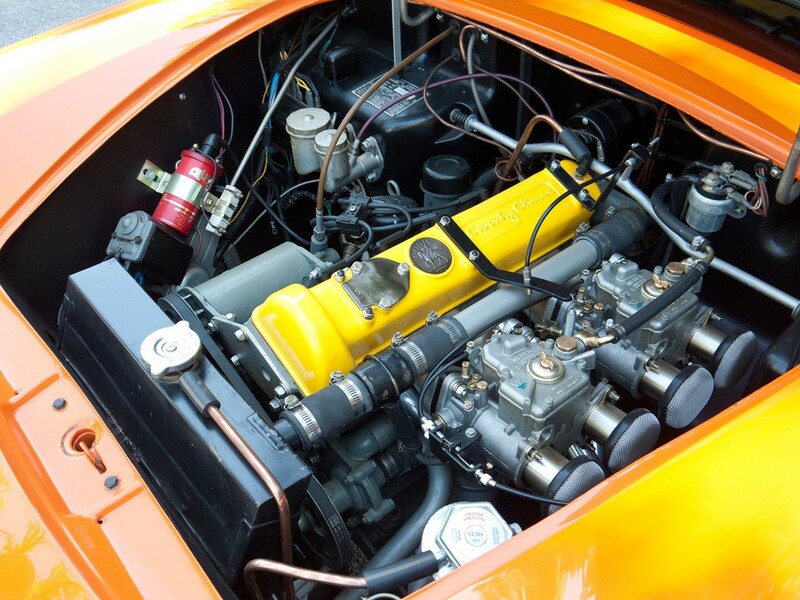 Under the bonnet resides the Coventry Climax ‘FEW’ powerplant. If properly maintained it is a very reliable power source. It was expensive to build and even more so to rebuild. 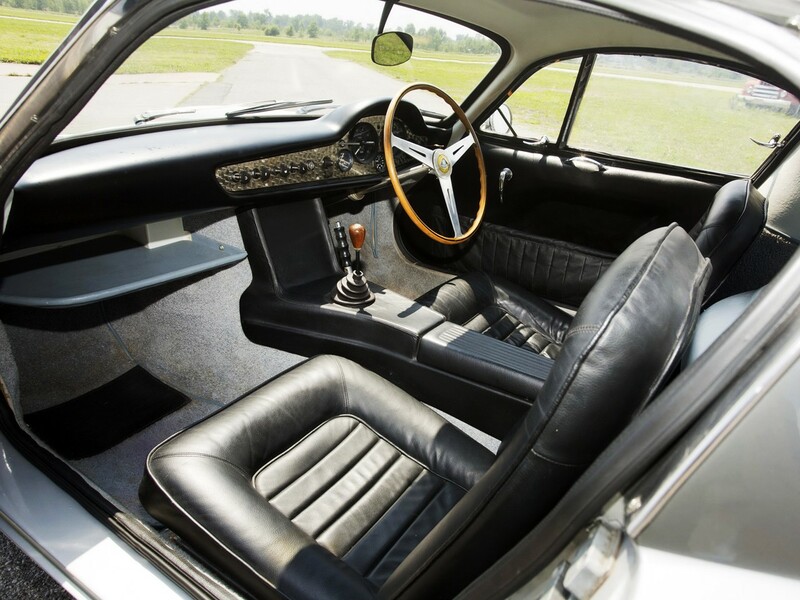 The Series I aluminium 1216 cc 8-valve in-line 4 cylinder naturally aspirated engine (Series I 1959-1960) is equipped with a single SU 1.5” horizontal carburetor. It produces 75 hp @ 6,100 rpm with 104 Nm of peak torque @ 3,750 rpm. Longitudinal acceleration is rated as 0-60 mph in 10.3 seconds, 0-100 mph in 44 seconds with a top speed in the 101 mph range. It does the ¼ mile @ 78 mph in 17.5 seconds. 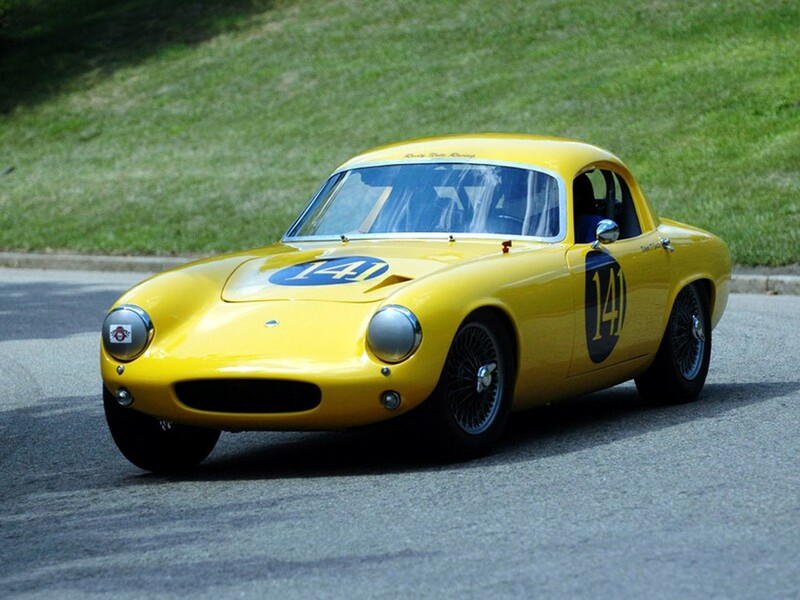 The engine is mated to the MG 4-speed manual gearbox. 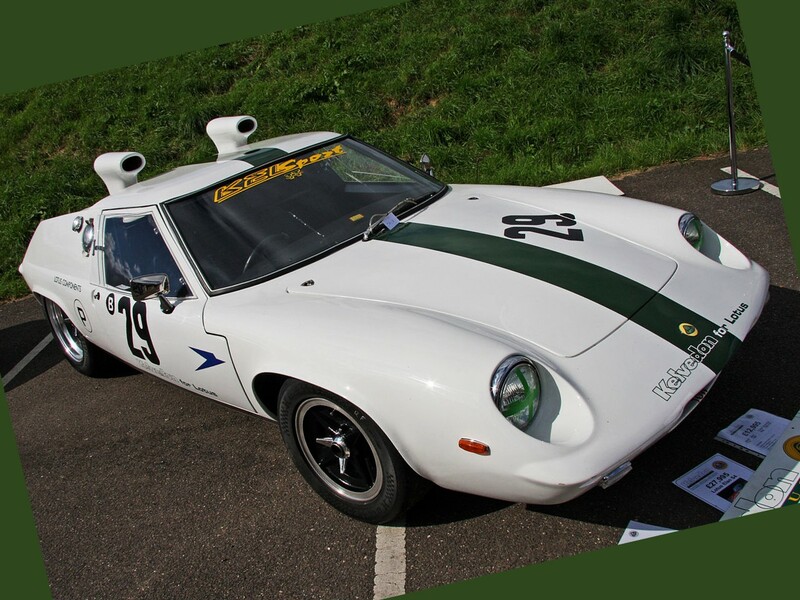 Lotus Elite is a front-engine rear-wheel drive sports car. 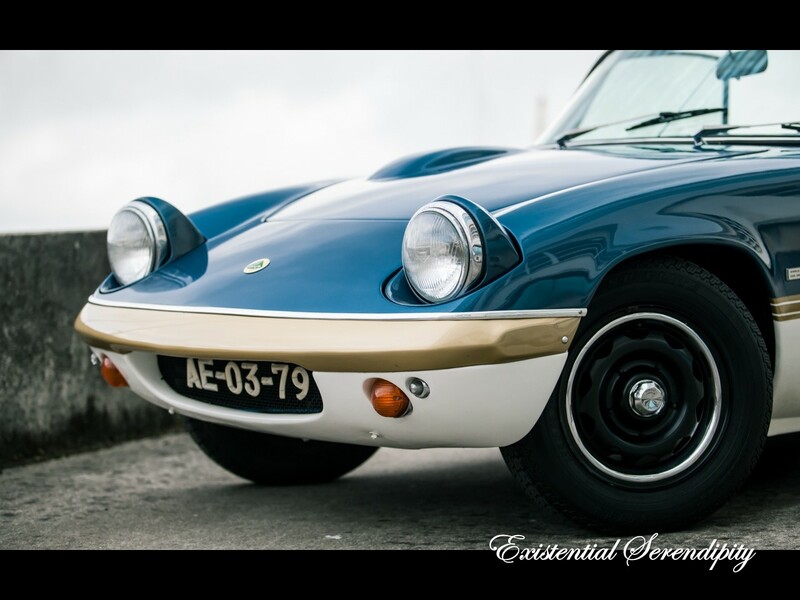 Series II (1961-1963) is fitted with Twin SU H4 1.5” carburetors which crank 83 hp @ 6,250 rpm with 102 Nm of peak torque @ 4,750 rpm. This version acquired a 4-branch fabricated exhaust manifold and a 3-piece alloy intake manifold. Heavy-duty bottom end construction with 3 main bearings and a deep sump flange on the block gives it more power. The engine has wedge-shaped combustion chambers that house unusually large valves (1.28” intake/ 1.15” exhaust). The engine is mated to the ZF 4-speed manual gearbox. 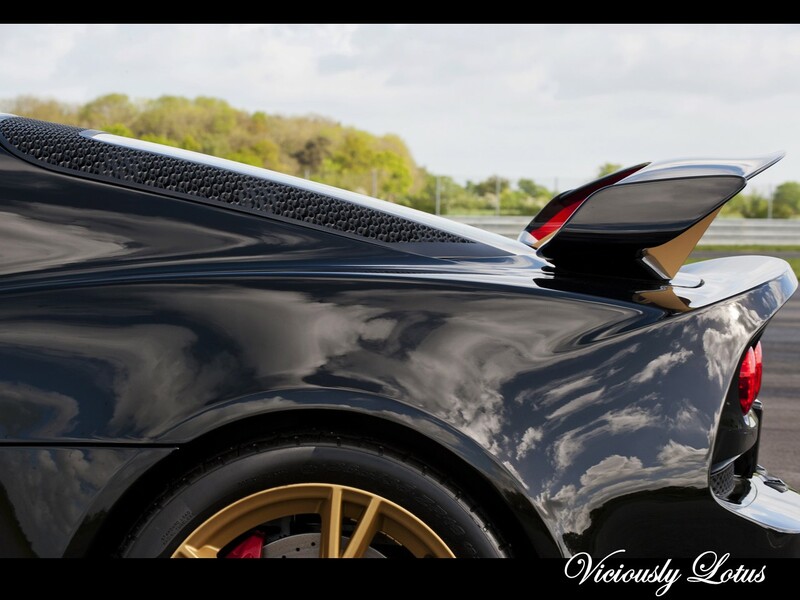 Longitudinal acceleration is rated as 0-60 mph in 9.8 seconds, 0-100 rpm in 33.5 seconds with a top speed in the 103 mph range. 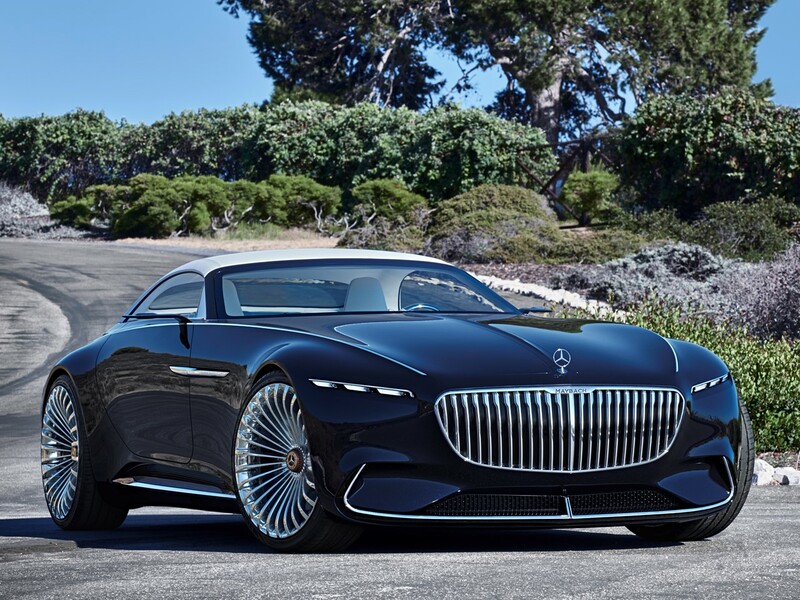 It does the ¼ mile @ 81 mph in 17.7 seconds. 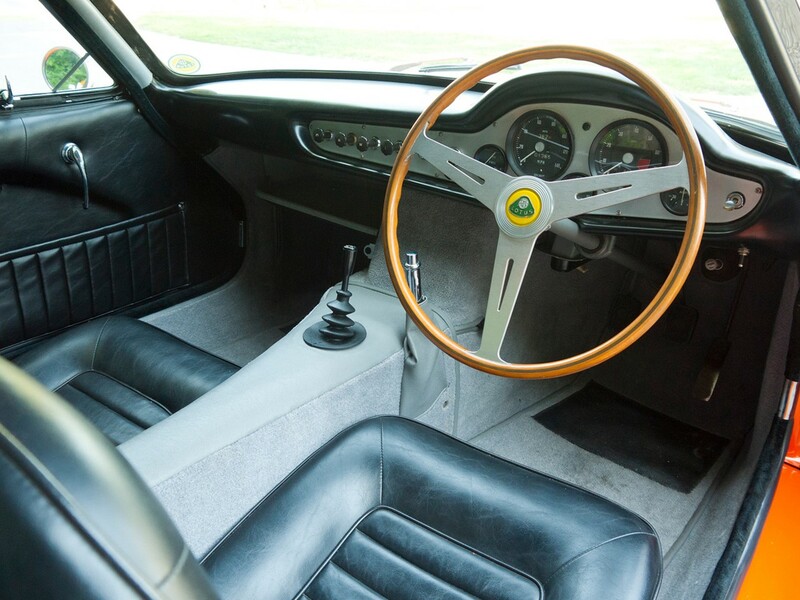 Special variations of the Lotus Elite were built with extreme high-performance in mind. 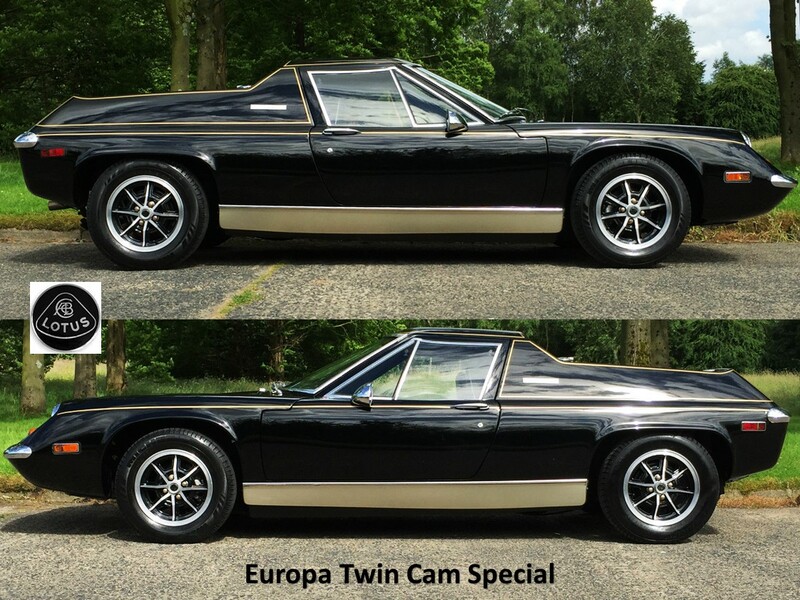 A Special Edition Super 95 Stage II engine is equipped with a high-lift 3-bearing cam, and ignition alterations. It cranks 95 hp @ 6,500 rpm with 100 Nm of peak torque @ 5,000 rpm. The head has 40 thou shaved off to provide a higher compression ratio of 11.0:1 which can hit 7,200 rpm without flexing. 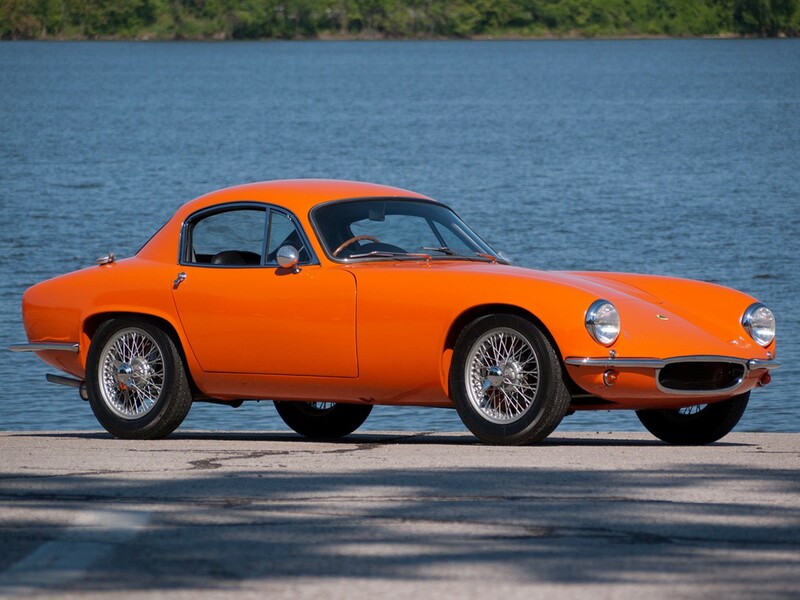 Many of the Super 95 models are fitted with Twin Weber 38 DCO carburetors and ZF 4-speed manual gearboxes. The Super 95 has a top speed in the 125 mph range. 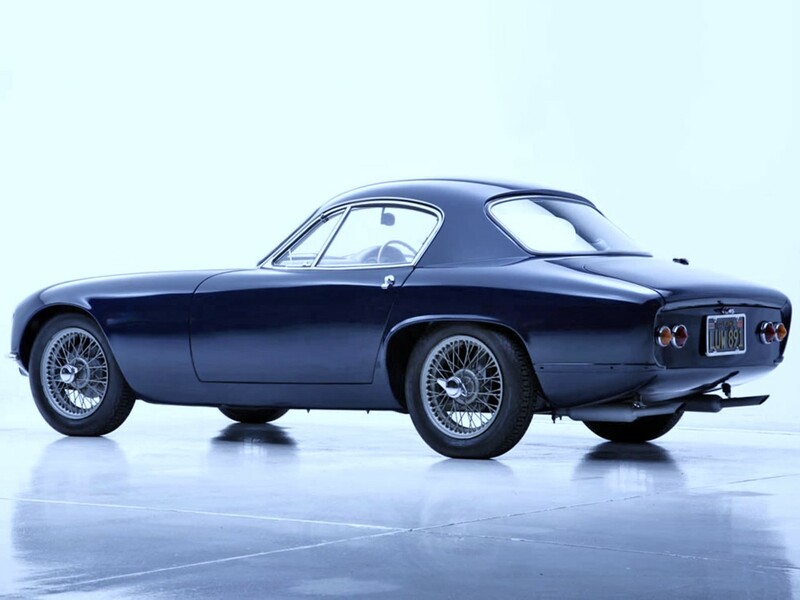 Only 23 Super 95 versions were built. If you want even more bang for your buck, the Super 100 version cranks 100 hp @ 7,200 rpm with 100 Nm of peak torque @ 5,000 rpm and has a top speed in the 130 mph range. 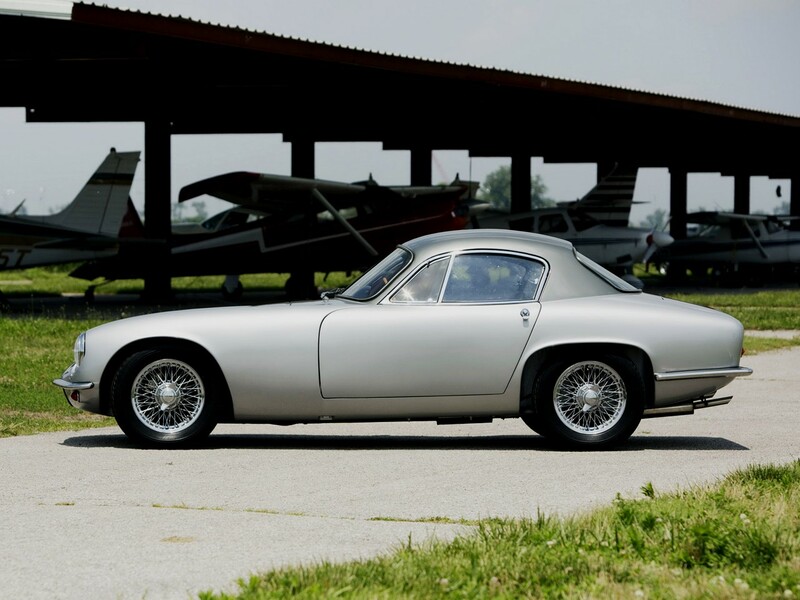 Only 6 Super 100 versions were built. The Super 105 cranks 105 hp @ 7,200 rpm with 100 Nm of peak torque @ 5,000 rpm with a top speed in the 130–137 mph range. 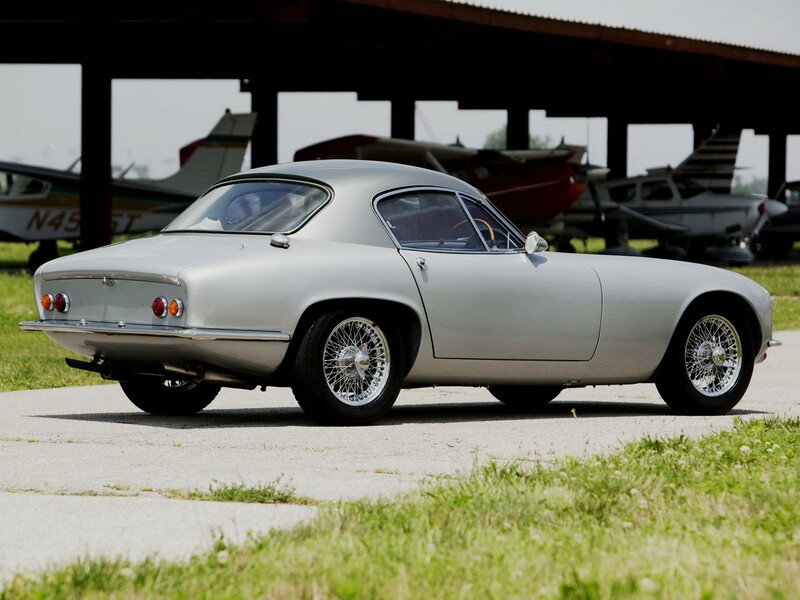 Only 6 Super 105 versions were built. These fully balanced racing engines were equipped with high-lift 5-bearing cam shafts and 80 thou shaved off the heads to give a higher compression ratio of 11.5:1 and can hit 7,900 rpm without flexing. 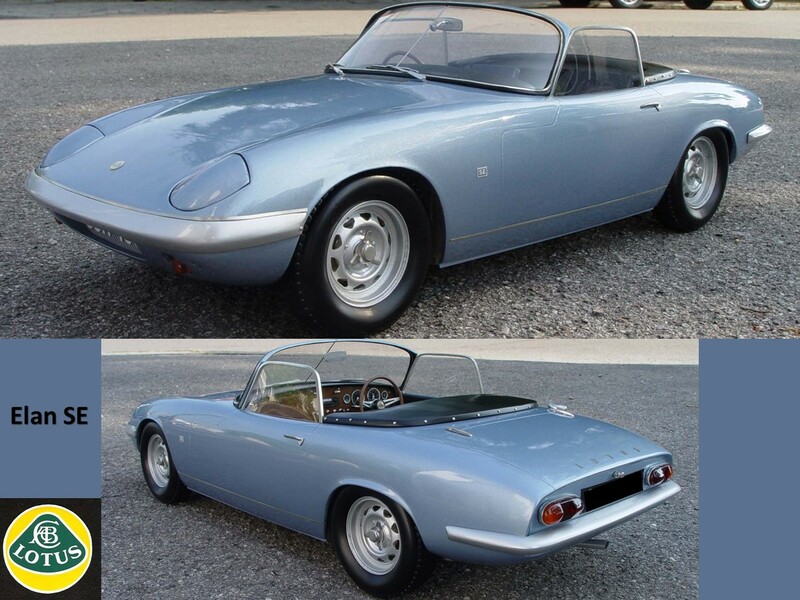 Both Super 100 and 105 versions are equipped with Twin Weber 38 DCO carburetors and ZF 4-speed manual gearboxes. The 5-bearing versions are not suitable for road use because of high loadings imposed on the valve gear. 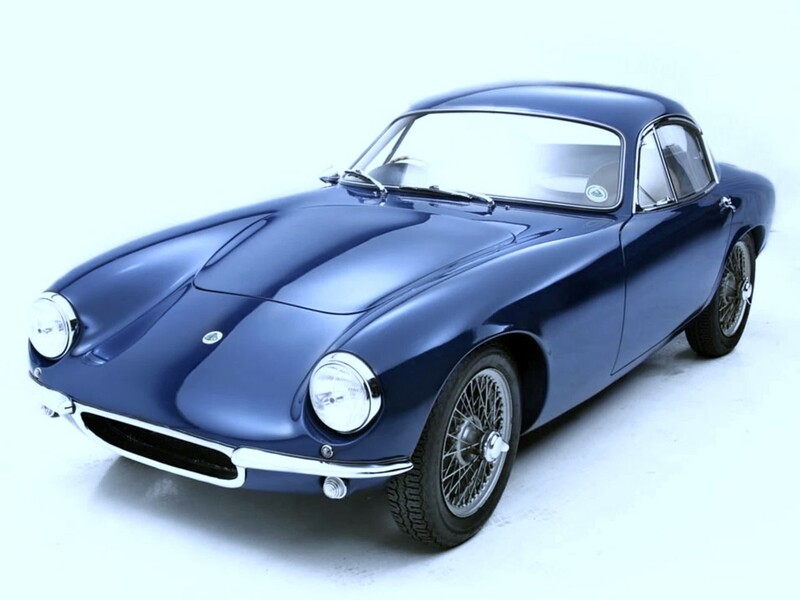 The Lotus Elite is a revolutionary automotive design which is the first road-going model for the brand. 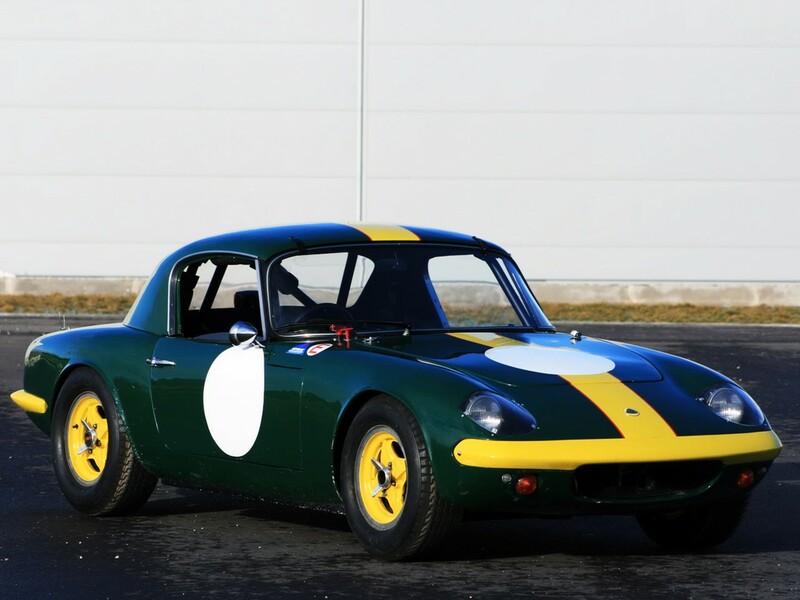 It benefits highly from Colin Chapman’s racing expertise. 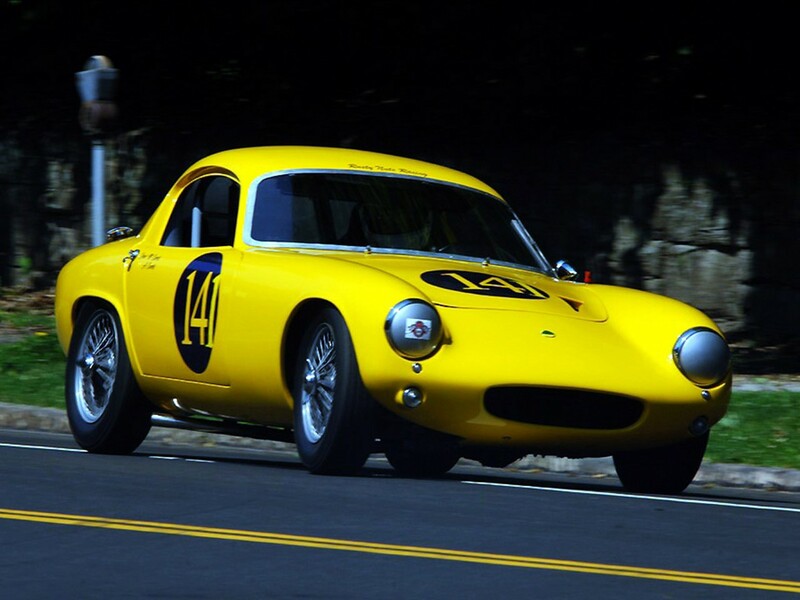 The Lotus Elite is really a race car in street clothes. Its technology was far ahead of its time. Elites are a culmination of a race-bred heritage, excellent handling, superb road-holding abilities, and outstanding overall ride quality. 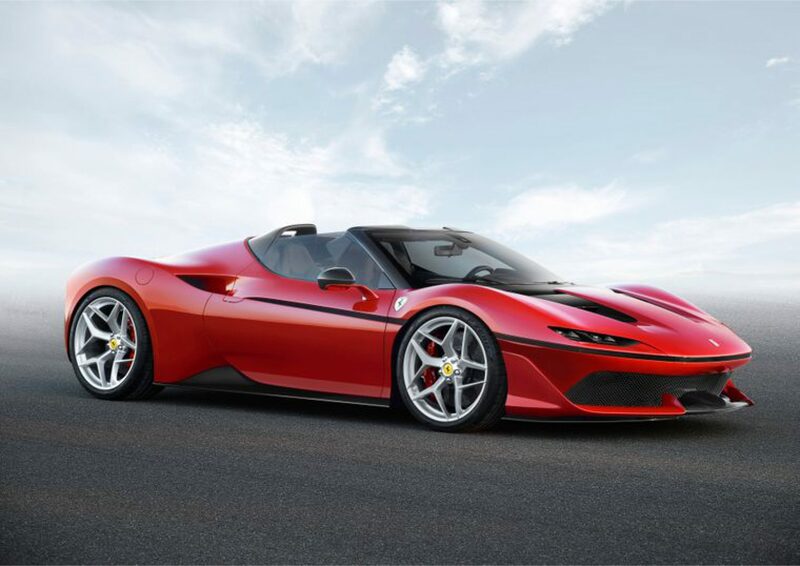 The one-piece fibreglass monocoque construction is the first of its kind. 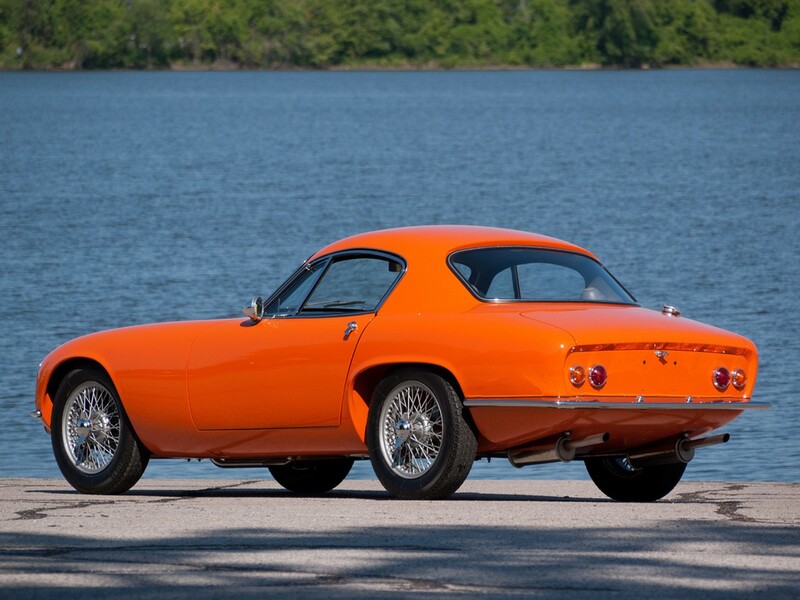 This lightweight design sports a mere 0.29 drag coefficient making it superfast by all means. 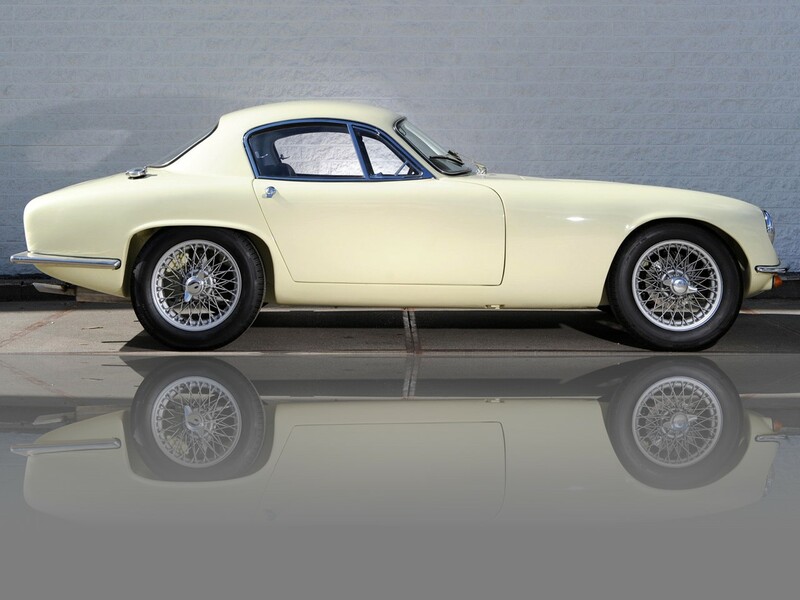 Lotus Elite is one of the most highly coveted collectible classic sports cars in existence. 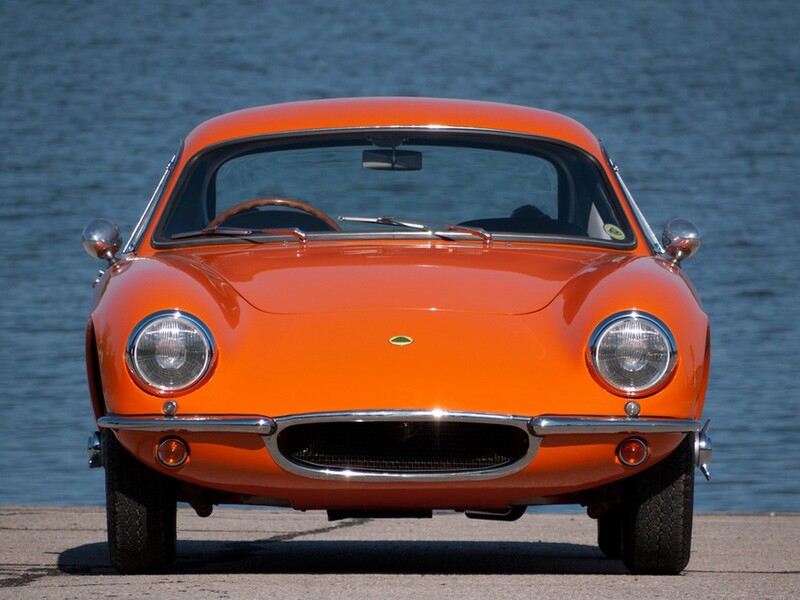 Only 1,048 Lotus Elites were built from 1957-1963. 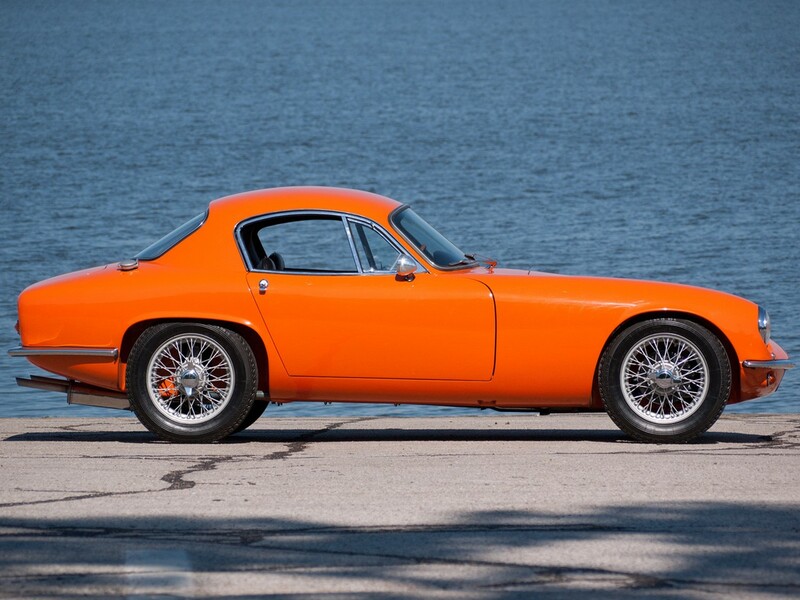 This rarity enhances its desirability even further….